It was a pitch meeting with one of the brightest minds of the country – Dr. Verghese Kurien, the Father of White Revolution in India. Unaware of his homegrown preference, the pitch started off with Ulka’s plans for greatness globally by going multinational. While advertising veterans sat speechless as Dr. Kurien spoke aggrievedly about how he chose Ulka for its Indian roots. Only a 27 year old dared to laugh. Meet – Shashi Sinha, CEO, IPG – back then, a 27-year-old advertising professional who laughed joyfully as he was the only member of the team, Dr. Kurien wasn’t officially introduced too. In Sinha’s opinion, meeting Dr. Kurien changed his life completely. Unlike many others, Shashi Sinha always knew he wanted to get into Sales & Distribution and did just that in the remotest corners of the country as a Parle employee. Sinha tells Social Samosa that his experiences grounded him early on! From downright scary experiences in places such as Bihar and Bokara to meeting the hero of his life – Shashi Sinha’s journey of becoming a Mega Icon is phenomenal, to say the least. A fun fact, he doesn’t like to be called an icon and commutes via Mumbai metro! How does it feel to wake up in the morning as Shashi Sinha? It feels very normal, I am very normal. I don’t believe in self-PR so to say. Looking back where did it all begin? After engineering, I went into Telco which is now Tata Motors, worked there for 10 days and then got into management school. I was the last person to join the management school in IIM Bangalore. There were no phones in those days, a TelEx came in and my mother tracked me down and sent me to business school. After IIM I got into sales at a time when everyone was getting into marketing. I went to Parle and was interviewed by Vijay Chauhan and Prakash Chauhan. They asked me why not marketing? And I said sales in a very tough profile. Much later I joined another brand, which had a very murky way of functioning. One of my bosses shifted to Ulka and eventually I moved too. I took a dip in salary to join advertising, which was a clean industry. I moved in for the wrong reasons but started enjoying it. I went to my boss and told him I want to work on this business. Back then what was the Advertising & Media industry like? 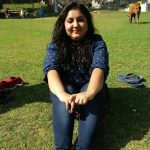 When I got into Parle and was posted to all kinds of places – from Andhra, Bihar, West Bengal, MP, and then Delhi and Mumbai. The experience in Bihar was probably the toughest; Bihar was a very mafia dominated place. There used to be the water mafia back then; the Indira Gandhi Setu took 15 years to make, it goes from Patna to Muzzafarpur. There used to be those British barriers through which trucks and cars would go and they would charge. So, when I went with my local sales guy, I saw a huge fellow wearing a dhoti, lying on a cot. The local guy told me to try crossing this bridge without paying money, a fee of 50 bucks without any receipt. And I had to submit every receipt for my conveyance. 50 bucks were big money back then. There is one more funny instance which I till date don’t know if it was true or it was a con – we were in Bokaro and after the day my local colleague tells me to lock yourself in the room and don’t open if anyone knocks. I was like I want to go to the market and he said this is Bihar, there are no eligible boys here and they kidnap if they find a suitable groom. Even after so many years, I don’t know if that guy was a con. Such was the sales and distribution industry back then. My experiences grounded me very early. What does a day in the life of Shashi Sinha look like? I love talking to my people and I hate reading emails. Half the time I’m chatting up with different teams. There are times when there used to be late nights while growing up, now it’s different. I proudly say I don’t work late anymore. I meet a lot of friends and family, I love spending time with them. Certainly Dr. Kurien. We were working on Amulya and discussing packaging options. When we asked Dr. Kurien, which option he liked, he looked at us and shrugged saying you guys tell me. Those 30 seconds were mortifying. No one said anything. Out of sheer fear, I picked up one pack and he said this is it and walked out. He told us there is no shade of grey in corruption, one paisa here and there and you’ll be out with the speed of lighting. That tugged at my heart. In your opinion, icons are born great or made? What do you think about icons like Virat Kohli, Kiran Bedi and many others like them? When people start they don’t think I’ll be an icon, I won’t be an icon. Circumstances get you to a place where you are, what you are. I started taking a lot of interest in industry bodies in the last couple of years and so people started recognizing me. My belief is what you input is what you get. Icons don’t start with the plan of becoming an icon, they just do their job. There were many challenges, but I think the main one was pressure – advertising teaches you handling pressure. I don’t believe in I, me, myself. For me, it’s all about teamwork. You have to like the business and enjoy what you do. There are things that are bad about an industry and there are things that are good – you need to be able to enjoy the positives it so as to take the bad things along the stride. Advertising is intangible – no one will tell you how the ad actually performed; you need to be able to enjoy your work to feel the gratification. 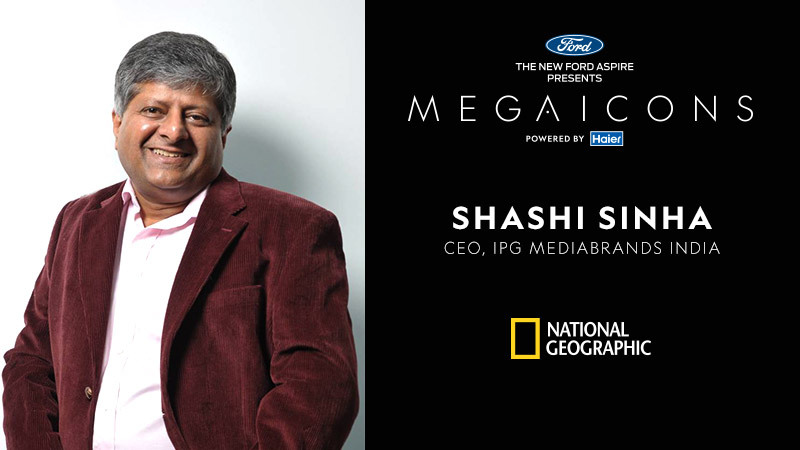 #MegaIcons – a peek into the lives of Media & Advertising Icons!